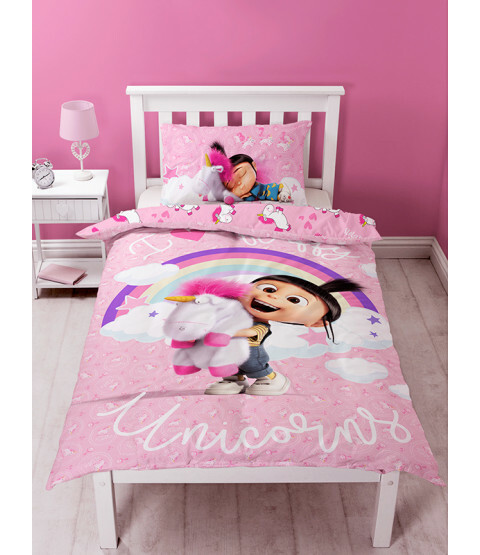 This official Fluffy Unicorn Single Duvet Cover Set is a must for fans of Despicable Me! 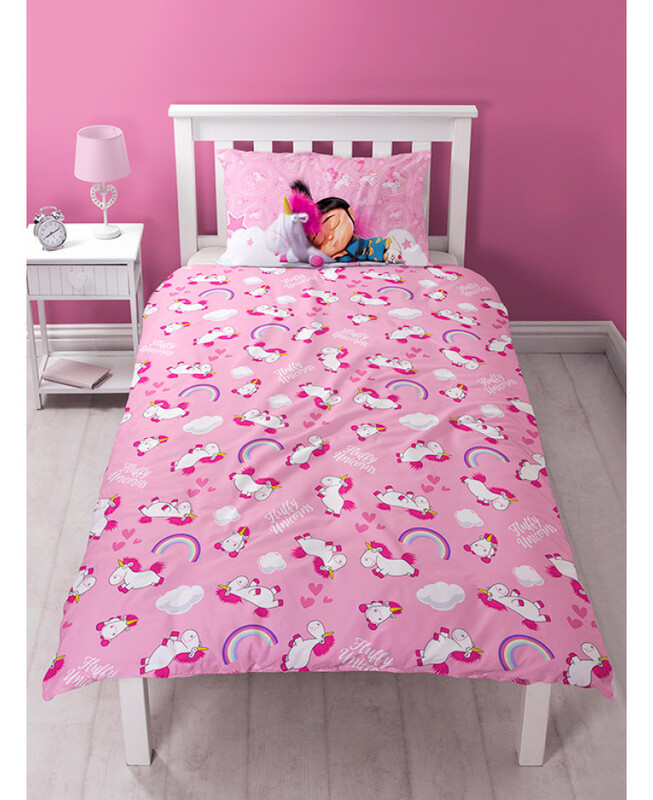 The reversible duvet cover features a great image of Fluffy Unicorn and Agnes with a pretty rainbow motif on one side, whilst the reverse features Fluffy Unicorn in a repeat pattern on a pink background patterned with rainbows, hearts and clouds. This bedding set is made from a polycotton blend and can be machine washed and tumble dried on a low setting.